This new edition gives readers the latest technological developments and practical examples from existing, state-of-the-art combined-cycle plants. 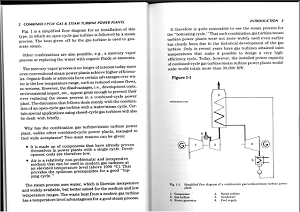 Both practicing engineers and engineering students will find this book the definitive work on combined-cycle power plants. Long considered an indispensable guide for combined-cycle technology, Combined-Cycle Gas & Steam Turbine Power Plants continues in its third edition to deliver unparalleled technical information, plus new chapters on important advancements. Among the updates, the new edition provides an accurate, international picture of combined-cycle power generation. The book also discusses topics related to global warming with new chapters on CO2 capture and storage, and integrated gasification combined-cycle plants (IGCC). Included is an insightful economics chapter focusing on return-on-investment for combined-cycle.